The Brexit deal Theresa May has negotiated is a bad deal and Labour will vote against it next week. If the government can’t pass its most important legislation then there must be a general election. The real divide in our country is not between those who voted to remain in the EU and those who voted to leave. It’s between the many – who do the work, create the wealth and pay taxes – and the few – who set the rules, reap the rewards and so often dodge taxes. I put it like this: if you’re living in Tottenham, you may well have voted to remain. You’ve got high bills, rising debts, you’re in insecure work, you struggle to make your wages stretch, you may be on Universal Credit and forced to use a food bank. You’re up against it. If you’re living in Mansfield, you’re likely to have voted to leave. You’ve got high bills, rising debts, you’re in insecure work, you struggle to make your wages stretch, you may be on Universal Credit and forced to use a food bank. You’re up against it. Only Labour can bring people together based on their common interests. Whether they voted to leave or remain, people know that the system isn’t working for them. Because it’s a system rigged against the many, to protect the interests of the few – that’s the real cause of inequality and insecurity in Tottenham, Mansfield and across the country. That’s why an election is so urgent – and why we must win it. And what will make the difference? Your campaigning and your energy. So in a speech today in Wakefield, I sent the prime minister a message: if you’re so confident in your deal, call the election, and let the people decide. But if you don’t, Labour will table a motion of no confidence in the government, at the moment when we judge it has the best chance of success. If we can’t get an election, then we’ll keep all options on the table, including campaigning for a public vote, as our members decided at Conference last September. But an election is the best outcome because it enables us to tackle the Tories’ cuts to public services, their awful Universal Credit, rising homelessness, and all the other issues that are damaging our communities. Together, we have the chance to transform our country for the many, not the few. Harrow East’s Tory MP Bob Blackman is a right-wing extremist. He opposed equal marriage, called for the reintroduction of the anti-gay Section 28, has retweeted anti-Muslim hatred and a post by fascist leader Tommy Robinson, as well as backing the bedroom tax, austerity, cuts to taxes on the rich, trebling tuition fees, privatisation and other unjust Tory policies. Last year his majority collapsed from 4,757 to just 1,757 in the 2017 election. That was down to Jeremy Corbyn’s inspiring alternative – but it was also down to campaigning by you. The #Unseat campaign has the Tories on the run. 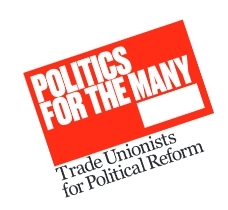 Thanks partly to our campaigning the local elections, Trafford Tory council was unseated, Labour won the popular vote in Wandsworth and got the best result for 22 years, Labour won 4 seats in Portsmouth, and Labour nearly matched the Tory vote in Westminster. According to leaked messages, Iain Duncan Smith – who hammered disabled people and low-paid workers – is on the run because of #Unseat. We can unseat Bob Blackman whenever an election is called – and get a Labour MP who champions the majority, as well as a Jeremy Corbyn-led government. Labour has a brilliant candidate – Pamela Fiztpatrick – who will fight for the many, not the few. Never campaigned before? Great! Most haven’t, we’ll give you support and pair you up with an experienced campaigner. 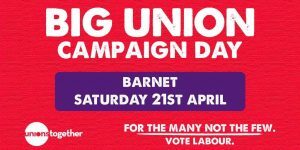 Barnet TUC notes with dismay that the Tories have won yet again in our borough, despite running a dysfunctional and discredited administration that has and will cause misery to large numbers of people. Despite broadly positive results in the res t of London and a slight vote increase since 2014, Labour did not succeed in unseating conservative councillors. 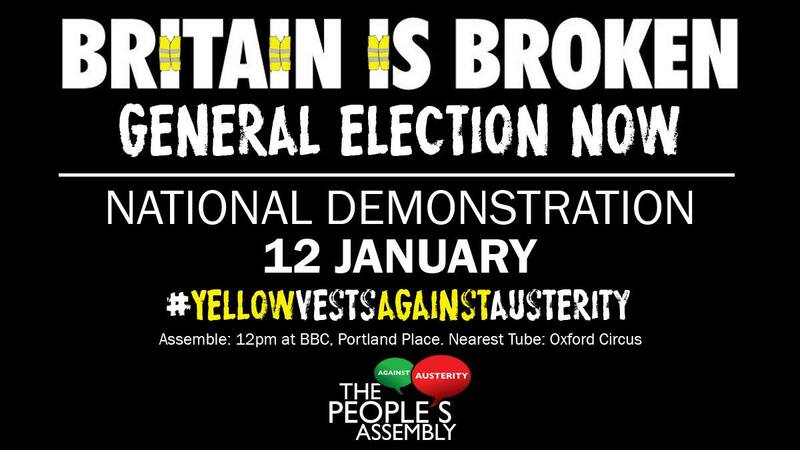 Our movement now has to face four more years of serious attacks on the conditions of working class people, and we have no time to lose in organising for this. It is shocking that this viciously rightwing administration has survived. 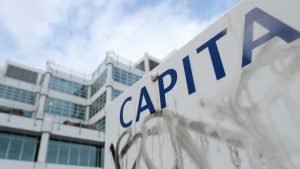 The extreme version of public service cuts and privatisation that the Tories have pursued under a variety of glossy buzz phrases, such as “easycouncil” and “One Barnet”, have resulted in an overblown, under-bid contract with the failing outsourcing giant Capita. The threat that a Carillion-style collapse of Capita could potentially take our essential services down with them was so serious that earlier this year that a question was raised about it in Parliament. There have been myriad other stories, many of them concerning massive mismanagement by the uncaring Tories and their outsourcers, but probably the most horrific was last year’s Oftstead report into children’s services in Barnet. The regulator found that the council was entirely inadequate in all levels, including the protection of vulnerable children. The increased suffering of the vulnerable is the inevitable and greatest cost of the extreme, market-driven ideology of Barnet Conservatives. …The 2017 general election perhaps gives us better ideas about how to move forward. General elections provide the opportunity for political parties to lay out their policy agenda for the UK. The Labour Party’s manifesto resonated with voters and it showed in the end election result. During local election campaigning I noticed a distinct change in our approach: I had less to offer on the doorstep and ideas were missing from the national conversation. I think it is fair to say that neither Labour nor the Conservatives have been offering a positive vision for the UK in recent weeks. 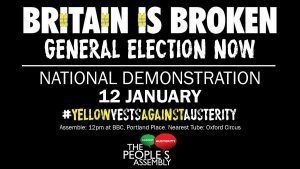 There were some issues that didn’t get the airtime expected, most notably the scale of cuts to local authority budgets. A recent report by the National Audit Office found that since 2010 local authorities have seen an average reduction in funding of 49.1 per cent. Weirdly these cuts were spoken about continuously during the general election campaign but not during the local elections. It seems that voters failed to make the connection with poorer local service provision, including social care, and Conservative party policy. Yet many voters, including a majority of Conservatives, feel that public spending cuts have gone too far. 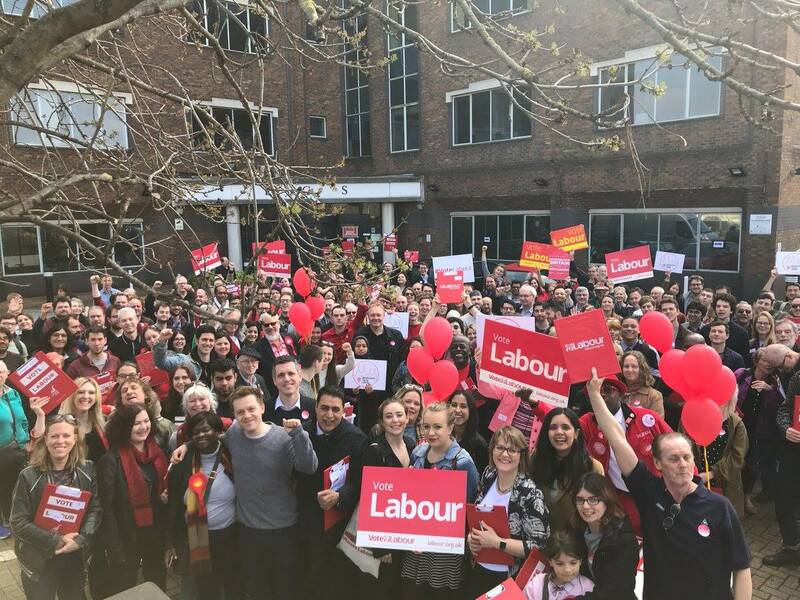 Barnet Labour’s local election strategy was not significantly influenced by the 2017 manifesto or campaign. It had six pledges, some of which were very neutral-sounding (“Low council tax”, “Better roads” and “Free parking”) and did not tap into anti-austerity feeling. This was in strong contrast to the sort of themes that had played well in the general election. The unions, led by local government Unison (which organises the largest group of workers affected by the Capita crisis) had brought well-worded proposals on cuts and outsourcing to all three constituency parties. There were also excellent proposals on how to campaign around the issues by respected bloggers like Mr Reasonable. The councillor group rejected all this good advice. In a bitter absurdity, the Tories realised that Labour’s service campaign was weak and did a completely dishonest, but highly effective, attack on that flank. A leaflet was distributed throughout key wards claiming that Labour would not only put up council tax, but change bin collections from weekly to fortnightly. For impact, they illustrated with this with a picture of an overflowing wheelie bin being raided by a fox. Neither of these claims about Labour policy were at all true, but with only around 48 hours before polling and no existing material on services such as bin collection prepared by Labour, it was very difficult to counter. Further panels on the leaflet utilised misleading statistics to pretend that Barnet is doing well in both affordable housing and education, which was also totally untrue but added up to a very clever attack. This demobilised the Labour vote and allowed the Conservatives to absurdly win on the very issues they should have been weakest on! And so, the Tories won with complete rubbish – in every sense of the word. A lot of the national debate on Barnet has focused on anti-Semitism and perceptions of it in Labour in particular. The council group completely failed to defend Labour’s positive record on racism and allowed the narrative on anti-Semitism to completely overshadow the media narrative on the election. We believe that anti-Semitism absolutely needs to be fought, but there needs to be a discussion about all the racism that has been manifested recently: and this has to include the victimisation of Black Britons over the Windrush scandal, the alarming rise of Islamophobic stunts like “Punish a Muslim Day” and the recent mobilisation of thousands by the far right “Football Lads Alliance”. There needs to be a renewed anti-racist movement and Barnet TUC will do whatever it takes help make one happen. However, we will also need a renewed offensive against the Tory council. Our public sector workers and those members of the public who depend upon them will once again have to form a resistance to what will doubtless be an even more hard-line set of policies. There will very likely be industrial action, but in the shorter term and from now on, we also need to wage a strong propaganda campaign. The Tories stole victory by lying about their intentions, and we must expose them every time they put private profit ahead of people’s needs. Join Unison Gen Sec Dave Prentis and other trade union colleagues to campaign in the run up to vital council elections on May 3rd. With local elections set for 3rd May, racism is already playing a serious role in campaigning. A disgraceful leaflet was distributed by the Conservative Party in Romford warning that if residents didn’t vote Conservative, Romford would “increasingly look like an inner city area“, a “London crime wave” would take place and that Havering would resemble “boroughs like Hackney, Newham, Camden and Barking rather than a traditional parts of Essex”. UKIP is also set for the most racist campaign since it was founded. Acting Leader Gerard Batten has described Islam as a “Death Cult” and for Muslim immigrants to have to sign a document renouncing parts of the Qur’an. Stand Up To Racism will be campaigning across the country to keep racism out of the local elections – contact info@standuptoracism.org.uk for leaflets or get in touch with your local group. An article from Open Democracy by Nick Mahony. In North London’s Chipping Barnet, pop-up alliances and an emerging ecology of democratic campaigning came together to renew participatory politics. Labour Party activists in Chipping Barnet. Credit: Nick Mahony.The suburban North London constituency of Chipping Barnet has been a safe, relatively quiet, ‘true-blue’ Tory seat for generations. That was until June 8 2017, when Theresa Villiers’ 2015 majority of over 7,500 votes was slashed to just 353. The Labour Party’s 2017 manifesto and the leadership of Jeremy Corbyn were important catalysts for Labour’s unexpected success in the general election, and, in Chipping Barnet, they spurred on a group of local party members looking to write their own future, rather than follow a script. Soon after the snap election was called in May 2017, tensions surfaced between two groups of Labour party activists in Chipping Barnet over the issue of how to plan for the election campaign ahead. To a group of more established members, Chipping Barnet was ‘unwinnable’, so it followed that the local campaign should largely consist of one round of direct mail to voters in target wards and a batch of get-out-the-vote leaflets dispatched to pre-identified supporters. At regional level, party officials had decided that Chipping Barnet was not a ‘marginal’ seat, leading to Chipping Barnet being officially ‘twinned’ with the adjacent constituency of Enfield North and a strategy of directing members to campaign for Labour MP Joan Ryan, instead of their own candidate Emma Whysall. A second group of activists, some of whom were already aligned with Momentum, had a different take. They wanted to approach the election as an opportunity to get as many local members as possible out on the streets campaigning. At the heart of this emerging alternative strategy was the idea of involving the newly enlarged membership in a process of large-scale face-to-face engagement with the local public. At the heart of this emerging alternative strategy was the idea of building the base and involving the newly enlarged membership of the party in a process of large-scale face-to-face engagement with the local public. As well as believing that such an approach could give Labour a chance of winning the election locally, this group was convinced that such a process might also help the local Labour Party start to become more democratic, member-led and successful in the local area in the future. Following this meeting, I was one of the handful of people who pressed local officials for an open campaign meeting to which all members would be invited. We wanted to give all members the chance to take part in discussions about how Labour should campaign. This meeting was subsequently organised and it quickly demonstrated that, beyond those already involved in Momentum and agitating for a more open approach, there was also a larger and even more mixed group of members in favour of a more energetic campaign locally, keen to discuss their own campaigning priorities and ideas for local action. Several members also enquired about whether a ‘progressive alliance’ strategy might be explored. Within a week of this meeting, weekend street-stalls were up and running. Over the coming weeks, there were more stalls, with one set up outside the main Further Education College in the area, to encourage voter registration and to persuade students to vote Labour. Similar activities were repeated outside local schools and the main hospital during weekday afternoons. By this point the number of local members who were involved had significantly increased and planning and communications related to these activities had largely transitioned from an ad hoc email list to a Facebook page and a WhatsApp group. These platforms opened up campaigning to Labour Party members beyond the initial group and many more local members started to get involved. As activity continued to increase, these social media tools enabled new ideas about the campaign’s coordination to be collectively discussed. At the same time, activists were also pressing local officials to help publicise these member-led activities through the normal local party channels. This eventually happened, though members were still directed to campaign in Enfield North. Many people continued to raise the idea of some kind of Progressive Alliance but it remained difficult to make inroads with local officials. Undeterred, local members instead pressed the local party for more resources. Election-related material had almost run out and the group were able to negotiate 15,000 new constituency-specific leaflets. The minute these were delivered, they were immediately distributed and used to instigate conversation out on the streets, right across Chipping Barnet. There was some canvassing happening led by local party officials, but this was dwarfed by the scale and excitement generated by the other activities that were rapidly emerging on a more ad hoc basis. As members’ contact with the public increased, so did the collective confidence of those driving these activities and the strength of members’ conviction about the value and impact of what was happening. The process of campaigning began to breed a broad alliance of progressive campaigners drawn from within the ranks of the newly enlarged local Labour Party. Those getting involved included: local anti-cuts activists, a group of women from Totteridge and Whetstone (the most affluent part of the constituency and indeed one of the most affluent parts of the country), local trades unionists, students, young parents concerned about the erosion of nursery, primary and secondary level education, nurses, doctors, teachers and older people alarmed by the prospect of further social care reform, as well as quite a few people who had re-joined the Labour Party in recent months. Fuelled almost entirely by the kind of euphoric hope that perhaps only emerges from an intense collective experience like this, the campaign in Chipping Barnet entered its final phase. Small-scale, convivial and highly agile campaigning teams surfaced all around the constituency, almost spontaneously. Leafleting was taking place at every station and there were people moving around seamlessly, to cover gaps, apparently with only very minimal coordination. By now an unpredictable mixture of smiles, snatched chats, deep and very lengthy conversations and heated but largely good-tempered exchanges were taking place with members of the public, on a great number of streets, on a near industrial scale. What happened was the rapid development of a collectively invented social process of alliance building. The campaign climaxed with an unplanned gathering of about 20 red-eyed Labour activists outside the party office. Holding aloft an enormous Labour banner, singing the Red Flag and inviting passing traffic to ‘honk for Labour’, this normally anonymous main road was temporarily transformed into a spectacle of camaraderie. Momentum. Funk Dooby/Flickr. Some rights reserved.What happened amongst local Labour Party members in Chipping Barnet was the rapid development of a collectively invented social process of alliance building. This ‘pop-up’ alliance of members developed its campaign against the grain of the official local campaign. But this was not grass-roots activism, not least because it was geared to an existing election timetable, aimed at maximising the vote for our local Labour candidate Emma Whysall and therefore all about persuading as many people as possible to play their part in our current form of representative democracy. 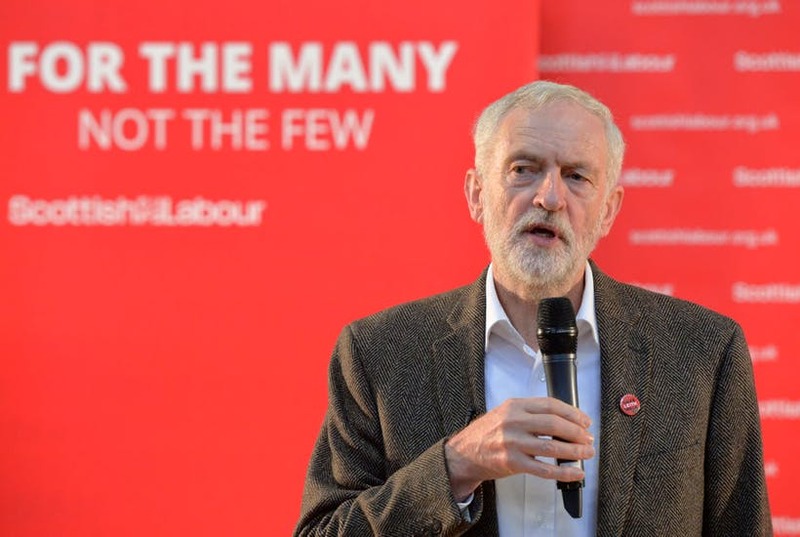 But the campaign only took off when members started to organise it for themselves and connect what they were doing to what was going on nationally with the new Labour Party manifesto and the campaign led by Jeremy Corbyn. Most importantly of all perhaps, this local campaign was set up from the start as an endeavour that would be as participatory, directly democratic, inclusive and open as possible. This meant supporting processes of collective discussion, collaborative planning, group creativity and online coordination. The policy platform offered people hope for more equitable, fulfilling and sustainable forms of social relations. In Chipping Barnet this approach worked, in other words, because of the desire people had to collectively invent the future, rather than do exactly what was expected of them. The Labour Party manifesto was a catalyst for this. The manifesto and the enthusiasm there was for collective forms of participatory action went hand in hand – the policy platform offered people hope for more equitable, fulfilling and sustainable forms of social relations – and this included new and more directly democratic ways of doing politics too. Labour didn’t win the election in Chipping Barnet – the Tories won by 353 votes. And of course it wasn’t just our self-organised campaigning that so dramatically reduced the Conservative majority – there were many other factors. 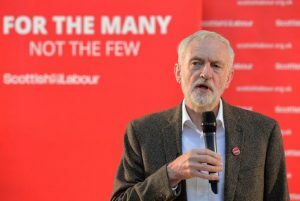 As well as Jeremy Corbyn’s leadership and the new party manifesto, these factors included: the years of neglect meted out to Barnet residents by its council and its national government and the years of door knocking, data collection and relationship building undertaken by local Labour councillors and other party activists. The people we spoke to on the street during the campaign told us time and time again about the damage that cuts in public services were inflicting locally. In the years leading up to this election, Barnet Alliance for Public Services and other activists had already done great work to galvanise public resistance to these ‘reforms’, through the petitions, marches, demonstrations and other activities they had organised. Post-election, the number of people who believe Labour can win here has massively increased. The number of people that are enthusiastic about the more democratic, socialised and participatory approaches to local campaigning has definitely grown as well. But what has been achieved here goes further than this., There are now many more people getting involved in progressive politics here, not just to get Labour into government and to reclaim the state but also to change their whole way of life. They are increasingly tired of the hierarchies and inequalities they live with and see around them; the ways that their workplaces and their country’s financial system are governed; how the housing system and their neighbourhoods are run; they want to protect and improve their local environment and demand a future that is sustainable; they want better and more democratically run education, health, social care and food systems. Long before the 2017 general election a growing number of small-scale initiatives had been experimenting with different forms of socialisation and democratisation up and down the country – in the realms of housing, energy, the arts, media, technology, food, the workplace and many other spheres. Now, after an election that has seen large numbers of people campaigning in more open, socialised, participatory and democratic ways, there is likely to be a much greater expectation for the Labour Party to be democratised too. But such democratisation, if it happens, can’t just come from the top-down. People expect to be involved in the democratisation of democracy. It will require new mediating institutions. Pre-existing democratisation projects need to be connected up with emerging alliances. These need to be scaled up and rolled out into new contexts. People expect to be involved in the democratisation of democracy. In the context of Chipping Barnet, there were no pre-existing spaces to negotiate between ‘new’ and more established campaigners; there was insufficient time for the democratic selection of our candidate; and the infrastructure needed for cooperation between members developed as we went along. Nationally we see something developing that is more like an emerging ecology of approaches to progressive and radically democratic politics, than a top-down plan. There is no one ‘killer app’ for democratic reform or new universal progressive campaigning technique, nor should there be. Approaches to democratisation are evolving out of disparate traditions and in diverse contexts, with convergences and divergences between different newer and more long-standing sets of activities. Back in Chipping Barnet I am not the only one still recovering from the exhilaration of our campaign. Many of us briefly experienced forms of social relations that we’d never before been part of, at least in Chipping Barnet. There will be aspects of what’s been described here that will resonate with what’s happened in other settings. The task now is to continue to open out, elaborate and extend these self-managed social processes to ever-greater numbers of people with the aim of collectively renovating the public and socialising whole ways of life. Only then, by continuing to collectively invent forms of participatory politics; deepening and extending alliances to broaden the base of support; and securing victory for a Labour-led government, will we be able to create the progressive public movement needed to realise more equal, sustainable and democratic futures. 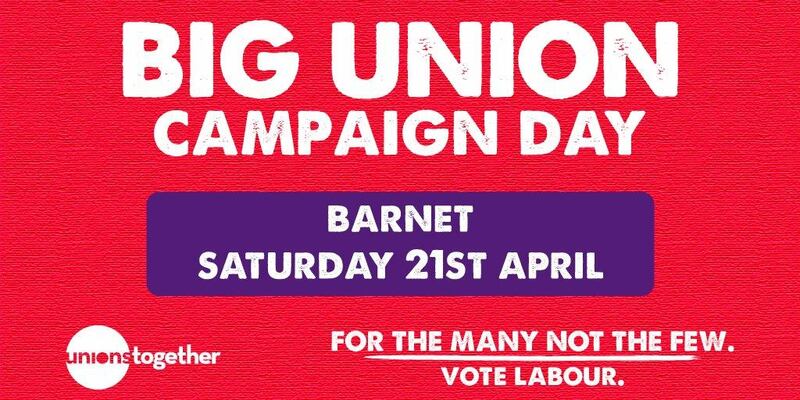 On Saturday 12 March, Barnet Labour Party are holding Sadiq Super Saturday and would love for you to be involved. This is a day of campaigning in the local area to try and encourage support for Sadiq on in the London Mayoral election. To support Jeremy, and in order to ensure we have a Labour Mayor in London, it’s essential that we inspire support all across the city – and what could be better than doing that whilst making friends with other like-minded people. Don’t worry if it’s your first time, as there will be experienced canvassers there to help.